System 6 Downloads:  English and International versions. RAM memory up to 14 MB, and can use any remaining physical RAM to create a Ram disk. Creates up to 14 MB of virtual memory. Desktop Mgr. Requires all 32 bit clean software. only 8 MB. Optionally switches System control to the RAM disk and ejects a startup floppy. NOTE: Register RamDisk+ 3.x by typing 3 spaces after "Name". Update System 6 to the latest and greatest. Moves those previously unmovable windows. Great for compact Macs. Mounts disk images on desktop. Menu bar clock, just like System 7.5. Desktop Mgr 2.0.1 Do not install in System 7 Folder. Prevents desktop rebuilds when swapping back and forth with System 7. Allows desktop mounting of CD-ROM. Needed for some file serving apps.. Enables the keyboard's forward delete key. Menu bar pulldown for launching applications and documents. Force 32 Do not install in System 6 Folder. During boot of System 7.0 thru 7.5.5 forces 32 bit memory addressing mode. Handy when swapping back and forth with System 6. Not needed if Mode32 is installed. ...Select floppy, COMMAND OPTION E.
...COMMAND OPTION SHIFT while opening up the Control Panel. ...COMMAND OPTION while double clicking on the MultiFinder file. Why System 6 for Compact Macs? 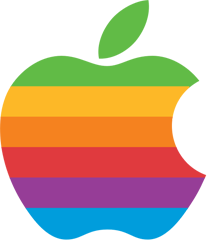 Maxima 2.0.3 is a versatile RAM disk and memory extension utility for use in both System 6 and System 7. In System 6, Maxima extends addressable RAM from the traditional 8 Megabyte limit to as much as 14 Megabytes, and uses the remaining physical RAM to create a Ram disk. These same features are available in System 7 in 24-bit addressing mode (when 32-bit addressing is not on). In the 32-bit mode of System 7, Maxima creates a 32-bit compatible RAM disk with full memory protection. In 24-bit addressing mode, up to 14 Megabytes of RAM can be designated as application memory, extending this memory beyond the normal 8 Megabyte limit. In 24-bit mode Maxima is compatible with the full range of Macintosh software, even products which are not "32-bit clean". Extends addressing of application memory up to 14 Megabytes under System 6 or System 7 without using 32-bit addressing. Enables the full use of 4, 8, and 16 MB SIMMS, as well as NuBus RAM cards without 32-bit addressing. Creates extended memory which is compatible with the broad range of Macintosh applications, even non "32-bit clean" products. Maxima can create a RAM disk from all the installed physical RAM that is not selected to be used for application memory. The contents of the RAM disk always survive Restarts and system crashes. Maxima also can be configured to preserve the RAM disk through Shutdowns by automatically maintaining a copy of the RAM disk in a "Volume Folder" on a hard drive. As a result, the RAM disk can be used in a fashion similar to an ordinary hard drive although access to its contents is much faster. It can also be set up to be the boot drive which expedites the Startup (boot) process by booting from RAM, and which speeds up many routine operations. Creates a System 6 and System 7 compatible RAM disk. Supports independent RAM disk configurations for 24-bit and 32-bit addressing modes in System 7. Protects the RAM disk contents so they will survive Restarts and system crashes (as long as power is not unexpectedly interrupted. Allows the RAM disk to be automatically backed up on the hard drive to preserve contents through a Shutdown/Startup. Enables the RAM disk to be used as the boot drive (for expedited booting out of RAM and faster overall operation). MAXIMA 2.0.3 Release Notes are on the disk. This ReadMe file contains important late-breaking information about Maxima 3.0.  Using the "Programmers Switch"
Maxima 3.0 is fully compatible with Apple's virtual memory from System 7.0 forward and it is also compatible with Connectix RAM Doub1er. Maxima 3.0 is not compatible with the 32-Bit System Enabler. If you are using this product, we recommend that you use Mode32 instead (Mode32 is supplied on the Maxima disk for those who need it). NOTE: machines that do not support Apple's built-in RAM disk (all Mac II models and the SE/30, for example) must have more than 8MBs of RAM to use Maxima. If you are using either the Apple RAM disk or a Maxima 2.x RAM when you attempt to install, Maxima 3.0 makes a copy of the contents of the existing RAM disk and uses this to reload the new Maxima 3.0 RAM disk after restart. If the RAM disk cannot be unmounted for some reason, the installer cannot backup the disk and will not run. The most likely reasons why the RAM disk will not unmount are: 1) the RAM disk is the startup volume, 2) file-sharing is active, and 3) one or more of the files on the RAM disk is in use. If you are booted from the Apple RAM disk, you should open the Startup Disk control panel, select a different disk, and restart. If you are booted from a Maxima 2.X RAM disk, you should restart and hold down the Option key to prevent a switch-launch to the RAM disk. Cases 2 and 3 can generally be handled by turning off file-sharing in the Sharing Setup control panel and by quitting out of all open applications. Once you have corrected these situations, the installer should proceed without complaint.  Added double-capacity option to increase size of RAM disk without using more memory.  Added EasySetup to Installer so that System Folder and applications can be automatically added to the new RAM disk, if desired.  New, simplified UI in control panel. Progress bars during copying and backup operations.  Added Backup Now button to control panel so it is no longer necessary to restart back up the RAM disk.  Made safeguarding (renamed from Write Protect) compatible with the 68040 and PowerMac, and improved its performance.  In the file-by-file backup method, the Desktop no longer rebuilds itself when RAM disk started; instead, file numbers are preserved, which makes the RAM disk fully compatible with products that track file numbers, like Suitcase and Disk Express.  Power Macintosh compatibility, including special PowerPC routines in time-critical portions of the code.  Full compatible with machines since the IIfx, including 24-bit Memory Extension fo machines which offer 24-bit mode.  Made Maxima fully compatible with RAM Doub1er and System 7 virtual memory.  During boot up, Maxima can use aliases to load fonts and extensions from the hard disk.  The shift key no longer bypasses the Maxima RAM disk at startup. This prevents accidental loss of the RAM disk data when you are trying to disable other extensions. To intentionally disable Maxima at startup, hold down the tab key instead.  If you double click on a document icon on your hard disk and the corresponding application is on the RAM disk, the application on the RAM disk will be launched rather than the one on the hard disk.  If you are a user who does not have a "programmer's switch" installed on your machine, we strongly suggest you find it and put it on your machine. Every Mac originally comes with a set of these small plastic switches (some machines have them built-in on the front, side, or back panel), which can be used to "RESET" your Macintosh without turning the power off and back on. Not only is this easier on the machine, but it also means that your RAM disk's contents will always be preserved by Maxima. If you cycle the power after a system crash the RAM disk's contents will be lost entirely or corrupted. Some newer Macs support resets via the keyboard by restarting when the power key is pressed along with Command and Control.  If you are using RAM Doub1er and intend to boot from the Maxima RAM disk, it is recommended that you first install RAM Doub1er and restart at least once from your hard disk to get it started before booting from the RAM disk. Then simply drag the RAM Doub1er extension from the System Folder on the hard disk to the System Folder on the RAM disk.  When selecting applications in EasySetup, only select applications that you frequently have open together AT THE SAME TIME. EasySetup uses these selections to determine how much application space you generally work with. If you select too many applications, EasySetup will determine that you have no RAM to spare for a RAM disk and be unable to construct a useful configuration for you. Note that EasySetup cannot find applications that have been compressed by file-level compression programs, such as AutoDoub1er. You must copy compressed applications to the RAM disk manually by dragging them there after the installation process.  When you change the method and/or location of your backups, the changes do not take effect until after a restart. When you change the backup method/location, it is recommended that you perform a restart immediately; do not perform a shutdown or change the disk size. At the restart, the current contents of the disk will be backed up according to the previous method, not the new method. If you perform a shutdown or change the size of the disk when you change the backup method, you may cause an additional backup of the disk, this time using the newly selected method. This is different from the behavior of earlier versions of Maxima, and provides for stronger data preservation. Maxima never deletes its backup folders or Image files, in case the user needs to recover those disk configurations at a later point.  Aliasing fonts and inits at startup can allow you to boot from a smaller than normal system without having to strip the system of all your indispensable extensions and accessories. Keep in mind that there is a performance penalty associated with using aliased extensions: all accesses to those files will be accesses to the slow hard disk, not your fast RAM disk. Also, on PowerBooks, accesses to aliased items will spin up the hard disk. It is therefore recommended that you do not alias your most frequently accessed fonts and inits. For example, you will generally want to keep standard fonts (e.g., Geneva, Chicago and New York) on the RAM disk. Also, not every init and control panel will function properly when aliased. Use the aliased system created by EasySetup as a starting point and then gradually add in other aliased inits, so that it is easy to identify which extension responsible when a problem arises.  The double size disk expands the amount of information that can be placed on the RAM disk by using compression techniques. The compressed nature of the double size RAM disk is invisible to all programs which access it. To get the best performance out of the double size disk, do not overfill it. Unlike hard disk compression, the RAM disk delays compressio for as long as possible. As the disk fills, it compresses more of its data. Try filling the disk two-thirds full to begin with. If you need better performance, try enlarging the disk slightly; sometimes just slightly more RAM gives you a big boost. One further note: Sometimes the disk may become full before you have doubled its information. This generally occurs when the data you placed on it does not compress well. Typically, this is due to the fact that the data has already been compressed. Try to avoid placing large compressed files on the double-size disk. If the disk runs out of room, it will begin reporting IO errors when it is written to. Do not be alarmed! The disk is not damaged; it is just full before it expected. All the data that has already been written to the disk can still be read without any problems. This Read Me summarizes the key points to know when using Virtual 3.0 and provides Errata for the Virtual manual.  Virtual 3.0 works with System 6.0.x and System 7.0.x on the following 68020/68030 machines: the Macintosh IIx, IIcx, IIsi, and IIfx; the SE/30; the LCII and Classic II; the PowerBook 140, 145, 160, 170, 180, Duo 210, and Duo 230; and the Macintosh II with PMMU.  This release of Virtual 3.0 is not compatible with 68040 machines, such as the Macintosh Quadra family.  Holding down the tilde (~) or Escape key during boot will disable Virtual. This can be useful if you are having problems booting with Virtual installed.  The DiskSaver feature reduces the amount of disk space used by virtual memory. When it is on, Virtual will use only the difference between the amount of real RAM in your machine and the amount of application memory you requested.  The pop-up menu in the control panel device provides the ability to set independent application memory sizes in the two addressing modes. It does not affect the addressing mode in which your machine is running. To alter the addressing mode of your machine, use the Memory control panel.  Click in the VIRTUAL at the top of the control panel device to see a display of information about slot card positions. This can be used to avoid memory pre-fragmentation when running in 24-bit addressing mode. Information about the PowerBook machines is not displayed as they have no card slots.  In the Additional Settings dialog, a page size of either 4K or 8K may be selected. In general, 4K page size will usually give the best performance. However, we strongly recommend that you select 8K pages if the size of the volume or partition on which the swap file is located is greater than 256 megabytes.  In several places, the manual states that Virtual 3.0 runs on the 68040 Macintoshes. This release of Virtual 3.0 does not operate on 68040-based machines.  On p. 5, the sentence beginning "We recommend the 4K page size for computers with small amounts of RAM and when the total ..." should read: "We recommend the 4K page size for computers with a moderate to large amount of RAM and when the total ..."
 For almost every brand of accelerator card, you must also update to the very latest set of accelerator INIT software. Not having the most recent versions almost invariably leads to crashes on boot. Since we do not manufacture this software, we have not included it in this package, so you must contact your accelerator board supplier to receive their latest update.  Holding down the tilde key (~) will disable Virtual. This can be useful if you are having problems booting with Virtual installed.  Compact Virtual 3.0.2 works with System 6.0.x and System 7.0.x on the Macintosh Plus, SE, and Classic with many different accelerators.  For many of the accelerators Compact Virtual 3.0 supports a pseudo-nonvolitile RAM disk. The size of the RAMdisk will be the amount of memory on your original Mac's motherboard, plus any amount above and beyond 4 Megabytes that you have installed on your accelerator card which is not being used to run applications. For example, if you have an accelerator with 16 MB of DRAM installed, and you have 4 MB on the original Macintosh's motherboard, you have a total of 20MB in the machine. If you set the slide lever in the Virtual control panel for 8 MB of application space, you would be left over with a 12 MB RAM disk.  A new feature of 3.0.2 is the ability to use both accelerator card and motherboard memory to reduce the hard-disk space required for virtual memory swapping. Please note that if you have requested to use a RAMdisk, then your motherboard memory (along with any extra accelerator card memory) will be used for the RAMdisk exclusively, and will not be available to be used for application memory. To use your motherboard memory as application memory, turn off the RAMdisk in the control panel.  The RAM disk can be configured to survive both restarts and shutdowns. If you place a System Folder on the RAM disk, it will automatically become the Startup Volume the next time you reboot. You do not have to use the 'Select Startup' control panel to boot off the RAM disk; it assumes that if you went to the trouble of putting a System Folder on the RAM disk, you intend to use it (this can be overridden by holding the option key down during boot - the RAM disk will then NOT be not the Startup disk, but will still retain its information). Please feel free to experiment with different RAM disk configurations.  Click in the VIRTUAL part of the cdev to see the effect of the MoveIO switchbox.  You can now choose to use either contiguous or discontiguous disk space: Check the Virtual File settings in the Virtual Control Panel.  The DiskSaver feature can be useful in limiting the amount of disk space you lose to use virtual memory. When it is on, Virtual will take from your disk only the difference between the amount of real RAM in your machine and the amount of application memory you requested. Optima 2.0 can be made to work with OS 6.0.8 by a very simple hack to the OS 6.0.8 Finder. Use ResEdit 2.1.3 to edit the Finder. Open the Finder's "vers" resource ID #1. Change the Version number: from 6.1.8 to 6.1.7. Change the Short version string: from 6.1.8 to 6.1.7. Do File Save (Command s). Where To Get 800K Floppies Inspired by CP Jacobs' message to the compact.macs mail list. 720K PC floppies can be used by formatting them in a Mac floppy drive as 800K disks. through their special order catalogs. This page copyright � 2000-2003 by Gamba. All rights reserved.